On Sunday I had my baby shower at a local hotel – The Cottonwood Boutique along Bournemouth seafront. 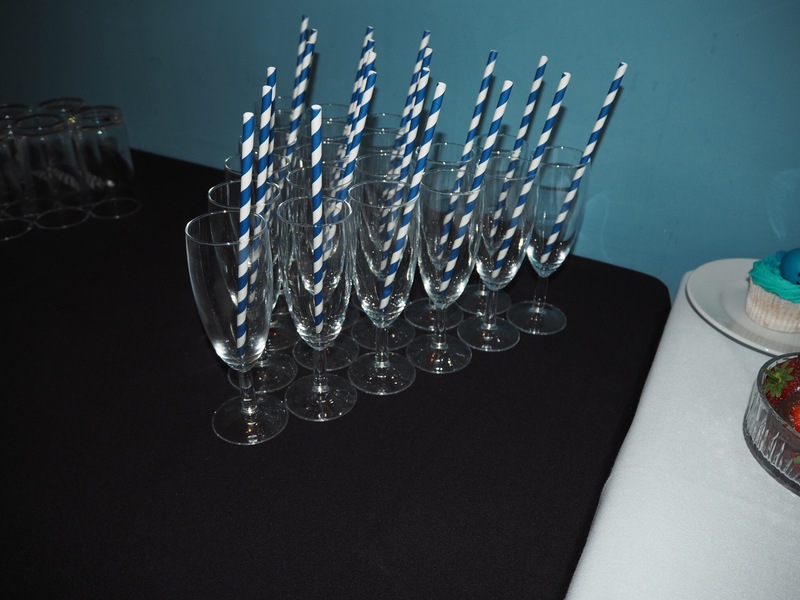 As I’m a bit of a control freak when it comes to planning events (I guess it comes with the job description), I had planned everything down to the last detail. On the day I arrived an hour before the start time with my mum, sister, sister in law and daughter to set up everything. 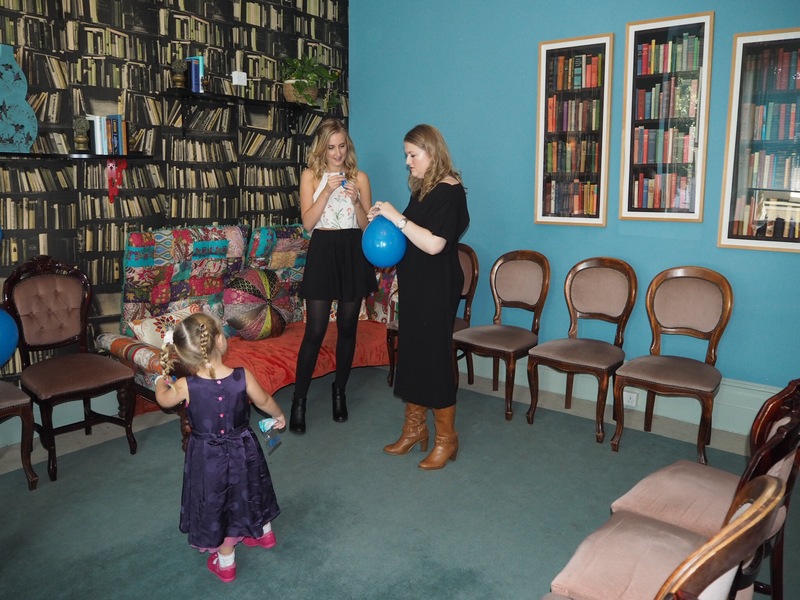 The room we had was lovely, it was called The Library, and i hadn’t noticed when I looked around but the walls were blue, which obviously worked well with the baby boy shower! The whole hotel is very kitsch and quirky in its design, I would highly recommend it. 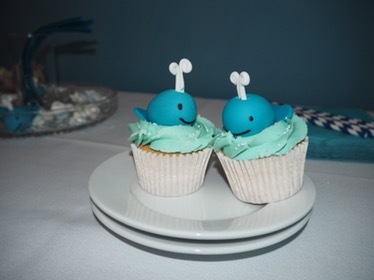 I had whale cupcakes made up by Lulabelles, based in Poole, based on a design I spotted on Pinterest and they were a big hit, definitely worth the money! I ordered a couple of bottles of Prosecco and a jug of orange juice from the hotel to provide a welcome drink for everyone, which went down quite well. I had also bought some blue sweets and dipped strawberries in white and milk chocolate to provide some sweet treats. 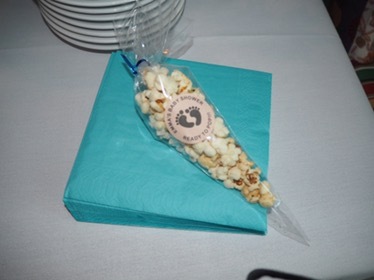 As well as this I had made up popcorn favours for the guests, again after something I saw on Pinterest. 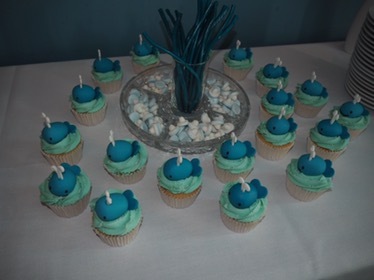 They were also very popular! I had prepared some games for during the shower, and provided baby bottles filled with sweets as prizes. The games we played were: Pin the Dummy on the Baby, Guess the Baby, Guess how many Sweets, Guess the size of Mummy’s Tummy, and Baby Bingo (the only shop bought game, which is available at M&S for £6). 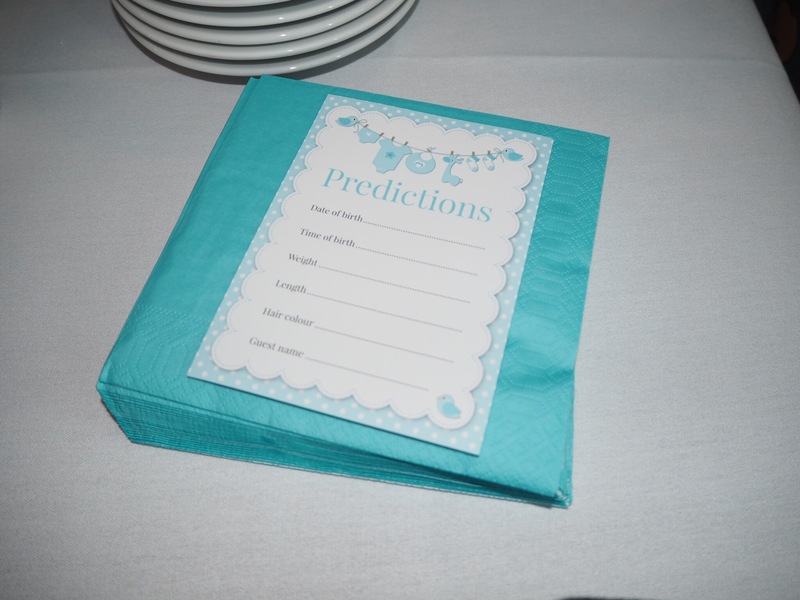 We also wrote down our predictions for when the baby would arrive, his weight, length, hair colour etc, which will be fun to look at once he’s here to see if anyone guessed correctly. Everyone seemed to have a good time, and after we finished the games there was enough time for a good chat and for me to open my gorgeous presents – baby salad was totally spoilt, we are very lucky to have such lovely friends and I can’t wait to see him in his beautiful new clothes! 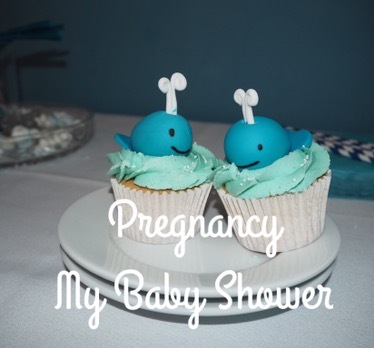 For anyone considering having a baby shower, or planning one for a loved one I would totally recommend you go for it. It doesn’t have to break the bank and is such a fun occasion for all involved. I left mine a little later than I would suggest (it was a bit hit and miss whether there would be an actual baby in attendance at one point!) – the optimum time is usually around 30-35 weeks of pregnancy. It gives the mum-to-be a chance to catch up with her friends and family whilst having a relaxing afternoon- what’s not to love?